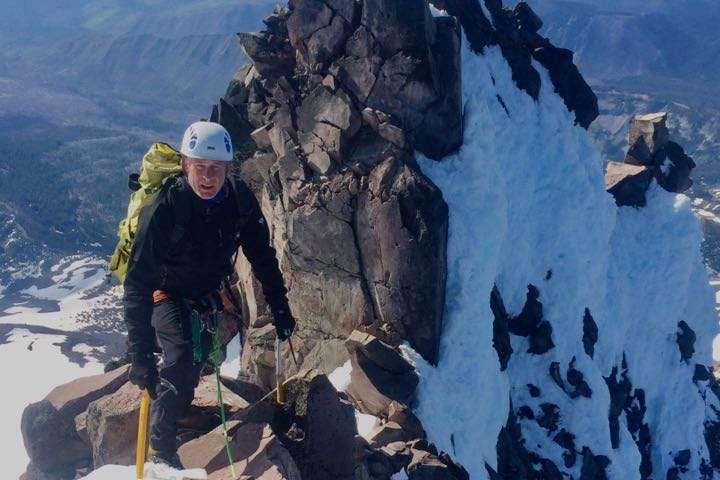 The South Ridge of Mount Jefferson is a physically demanding climb that will challenge the intermediate to advanced climber with a bit of steep snow and rock climbing. We’ll start our approach from the west side of the mountain heading towards the Pamelia Lake area. We don’t spend all that much time on established trails for a Mt. Jefferson climb, you’ll need to be confident on your feet with your overnight pack! We’ll stage our base camp high on the mountain putting us in a good position for a big summit day on day two. 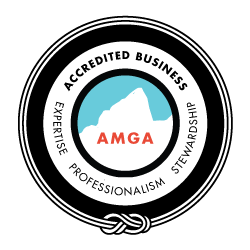 Our summit day will find climbers traversing high and exposed snowfields and eventually onto some low fifth class rock leading to the summit. We’ll head back to camp to rest and refuel after our big summit day, in preparation for our hike out on day three. This route is a good choice for climbers who have done a few other alpine climbs before. Participants should be comfortable on steep snow and easy fifth class rock. Climbing Mt. Jefferson is a difficult task, we’ll have a challenging hike in, a big summit day, and rugged terrain throughout. While the climbing isn’t technical, this is a physically difficult climb that shouldn’t be underestimated. Many climbers have turned back at the Red Saddle. This climb is a long forested approach to the south side of the mountain. Above treeline, a long march up the moderate South Ridge finally leads to the Red Saddle. From here, only 400 vertical feet below the summit, the real fun begins. Climbers must make a long steep traverse – sometimes snow and sometimes scree – to reach the base of the summit pinnacle. From there, two rope-lengths of 4th and 5th class climbing leading to the summit of Mount Jefferson, possibly the proudest peak in all of Oregon. Climbers should have prior rock climbing experience as well as excellent physical fitness.